Austin Dillon, driver of the No. 3 Chevrolet Camaro, captured his first XFINITY Series win of the season at the NASCAR XFINITY Series race at Michigan International Speedway (MIS) June 9. Dillon conquered the 2.0-mile track to win the NASCAR XFINITY Series LTI Printing 250. Dillon had enough fuel to take the checkered flag during the rain-shortened XFINITY Series race at Michigan. The victory was Austin Dillon’s fourth XFINITY start and first win this season. Bass Pro Shops and Cabela’s partnership with RCR includes several races as primary sponsor in the XFINITY Series with both Dillon brothers—Austin and Ty—and a season-long associate sponsorshipin both the Cup and XFINITY Series. Bass Pro Shops has a long relationship with NASCAR, dating back to 1998. Founded in 1972 by avid outdoorsman and conservationist Johnny Morris, the company is a leading retailer of equipment for hunting, fishing, camping, boating and other outdoor pursuits. 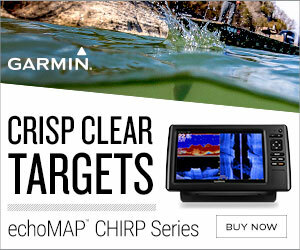 For more information, visit http://www.basspro.com/.